Sue Barker is available to book for your special event – we work in direct association with Sue Barker’s representative as a booking agent for her. Sue Barker, MBE, started her career as a professional tennis player, when she moved to the USA. She won a Grand Slam in 1976, at the French Open and at one point was ranked number 3 in the world. After her hugely successful career in tennis, Sue Barker retired from the sport and began working as a sports broadcaster. She was awarded an MBE in the Queen’s 2000 Millennium Honours List for our service to tennis and broadcasting. Sue Barker won her first top-level singles title in 1974. She won three additional titles in 1975. Sue reached her first Grand Slam semi-final in 1975 at the Australia Open, and won the German Open in 1976. Later that year, Sue had the biggest victory of her career by winning the French Open at only 20 years old. In 1977, Sue Barker won two singles titles in San Francisco and Dallas to reach the Virginia Slims Tour Championships final. She then reached the Australian Open semi-final for the second time in 1977 and also reached the Wimbledon semi-final that year. Through her career Sue won 11 singles titles and 12 doubles titles. In 2004, recalling her French Open win of 1976, Barker said: “I’m still incredibly proud of what I achieved. 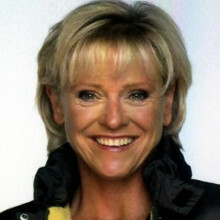 Upon retiring from tennis, Sue Barker became a commentator and sports reporter for Australia’s Channel 7 in 1985, before going on to anchor tennis coverage for British Sky Broadcasting in 1990. 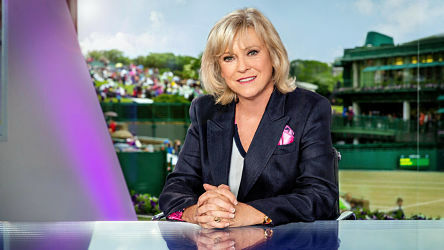 In 1993, Sue Barker began coverage on the BBC at Wimbledon and now anchors the two-week-long broadcast for the network. Barker has branched out since joining the BBC, becoming one of their chief sports presenters and she is currently the presenter of A Question of Sport. 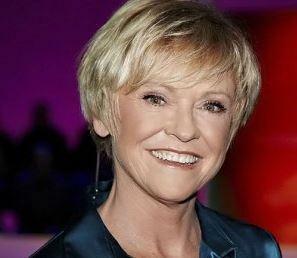 Sue Barker has covered a variety of high profile sporting events, including the London 2012 Olympic Games. Contraband is the UK’s top booking agent, with affable, skilled account managers who guarantee you the best deal possible. Contact us today if you would like to book Sue Barker to be the headline of your event! We as your booking agent are more than happy to help you create the most memorable moments with Sue Barker.